2018 awardees will be announced in May 2018 issue of Asian Avenye magazine. Now in its 10th year, we celebrate Asian Pacific American Heritage Month by honoring deserving members of the Asian American community - the unsung heroes, the shining stars and the selfless leaders! 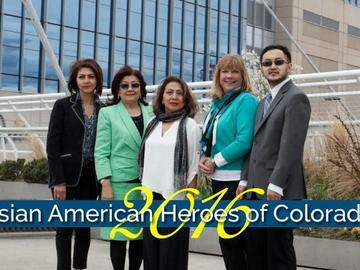 Award ceremony includes recognition of 2018 Asian American Heroes of Colorado, acceptance speeches, dim sum brunch and a silent auction!